Please note that due to the sensitivity of the question period, we removed the Q&A panel from this recording. 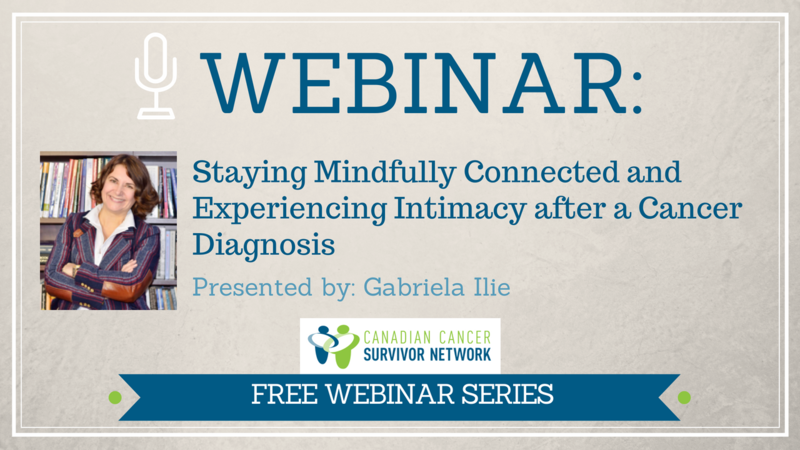 Gabriela Ilie is a recognized quality of life scientist and professor in Nova Scotia and Ontario with international recognition for her research on quality of life post chronic illness and injury. She has multidisciplinary teaching experience in love and intimacy (social psychology), health psychology, and neuroscience teaching over 25,000 students since 2005 and has been nominated twice TVO’s Best Lecturer.